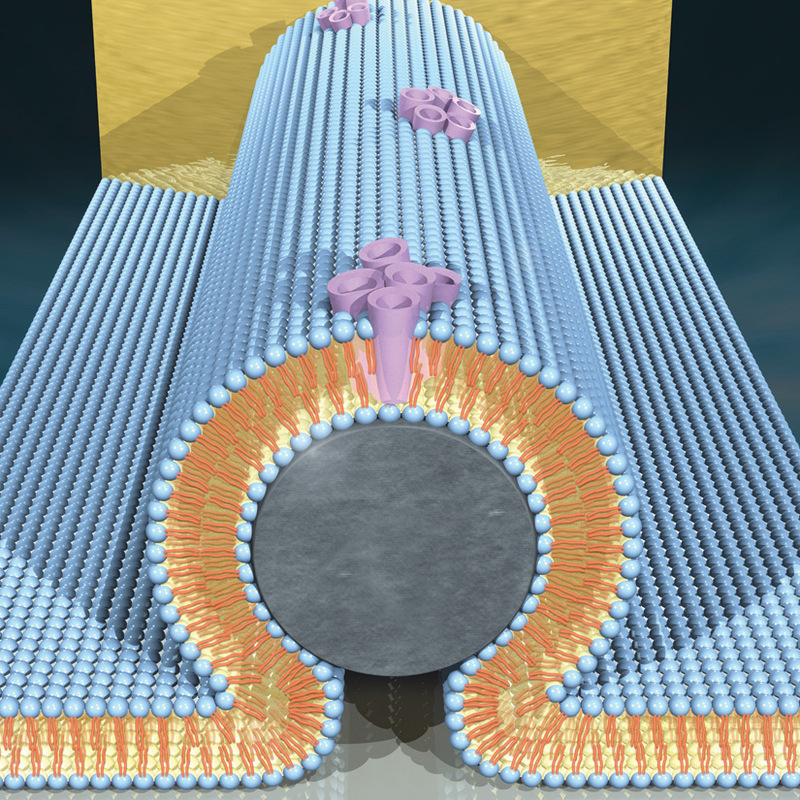 University of California, Merced scientists have embedded a carbon nanotube-based transistor inside a lipid bilayer (cell-like membrane) and powered it with an ion pump and a solution of adenosine triphosphate (ATP) to fuel the ion pump. The research could lead to new types of man-machine interactions where embedded devices could relay information about the inner workings of disease-related proteins or toxins inside the cell membrane, and eventually even treat diseases. It could also lead to new ways to read, and even influence, brain or nerve cells. The headline is misleading — the device is simply biomimetic. – Ed.